Choosing a good domain name can really make all the difference, it should be as short as possible, unique, have the primary keyword and easy to remember. If you are creating a website for an existing company then the domain you choose should be the same as the company name. Choosing a domain name is like choosing a company name. You need to consider a lot of things before you decide on the domain name you are going to register when you make a website. It has to be unique, interesting and easy to remember. If you want to design your own company website your domain will be the identity of your business on the Internet. So, you have to select a name that suits your company or business and also a domain that's easy to find and promote. Your domain is a like your house address. If someone wants to visit, you give them your home address. The same applies to your website, your domain is your websites address. Here are some tips offered by Easysite, the best website builder available. 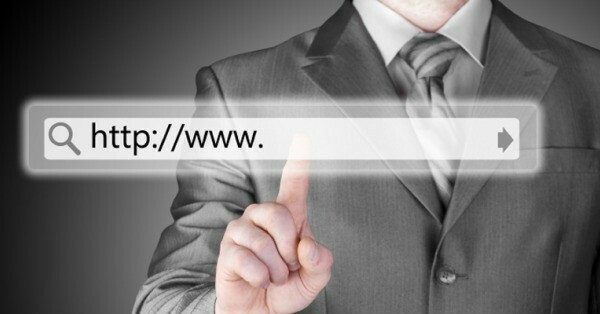 Short and sweet is the key to good domain names. The longer the name, the greater are its chances to be mistyped or miss-pelt. You should be able to tell what the website is about from the domain name. Look at our domain www.easysite.com from the words easysite you know it has something to do with building a website and it will be easy. You must choose a name that’s easy to remember and type. If you intend to use short forms of words such as “ur” instead of “your”, or different spellings of words such as “Xplore” instead of “Explore”, it may be more difficult and even inconvenient for people to find your website. Include the keywords that best describe your business into your domain name. For instance, if your business is to replace glass, your domain name should be something like: glassreplace.com or replaceglass.com. You see, the idea is to include the words people use when they search online for the service or product you offer. It will help improve your website’s SEO and visibility on the web for those keywords and bring more traffic to your site from those search terms. If yours is a local business, include the name of the area where you operate from. Keeping your town, city or state’s name in your website’s domain name will make it easy for customers based in and around that area to find your website. Besides, being local has another advantage. People tend to have more faith in you since you are the “friendly neighbourhood” company. Thousands and thousands of registered domain names are out there, but which are the ones people remember the most? The catchy ones. That’s right. Being catchy is the key to being memorable. Once you have found a good domain name, share it with those who are close to you and ask for their opinion. Try to find out how memorable it is. People always ask us how do I make a website and we tell them. We are here to help you get online. If you require any help to choose a domain name or create a website or create an online store please feel free to contact us for a quick chat and some good advise. See what our customers that have built a website using Easysite are saying. If you want, we can also offer some suggestions for your business domain names. There are many different types of domain name extensions out there. They have specific uses. Even, country-specific domain names are out there such as .de, .sg etc. You do not have to build a different website for all these domain extensions. Simply forward additional domains to your main website and the job will be done. Numbers and hyphens can create a lot of confusion. For instance, if you are using a numeric such as 5 in your website domain name, people who hear it may confuse it with “five”, then type that domain name and land on a different website altogether. If there’s a hyphen in your website, for instance: glass-replacement.com, it is likely that people may just forget about the hyphen and type the words without it, only to find your competitors website. Make sure you do your research before choosing the domain name. The domain name should be unique. Meaning, it shouldn’t be used by any other company or entity. Otherwise, there could be a massive legal situation you may find yourself in. Building your brand is very important. But protecting your brand is just as important. That’s why you should buy various domain extensions, including misspelt varieties of your domain name. Doing this will make it difficult for your competitors to register a similar-sounding domain name. It will also ensure that your customers come to your website, no matter what variation of its name they type. Domain names have a habit of getting sold out very quickly. But since they are inexpensive, you can act fast and register your domain name as soon as you can. If you are facing problems finding a good domain name, we at Easysite can help you. Not only can we help you build a fully functional website super-easily, fast hosting included and a responsive website design we also offer you a FREE DOMAIN NAME when you create your own website. You don’t have to pay anything when you choose a domain name using Easysite. That's right we are so confident you will love our site builder that we let you try it free for 30 days no credit card needed, no coding knowledge required. Try build your website free for 30 days. Sign up here. You will love it.